Services for Kenneth Blevins will be Saturday, April 6, 2019 in Snapp-Bearden Funeral Home and Crematory, Branson. Visitation will begin at 9:00 A.M. and the funeral service will follow at 10:00 A.M. on Saturday with Rev. Don Rooks officiating. Burial will be in Ozarks Memorial Park Cemetery, Branson. Kenneth Edward Blevins was born June 10, 1960 in Branson, Missouri to Coy Lee Blevins and Erma Ray (Linkous) Blevins. Kenneth was a life-long resident of Hollister. He graduated from Hollister High School and went to work for himself, owning and operating his own automobile garage. Kenneth married Tammy Peterson on May 27, 2000 in Hollister, MO. 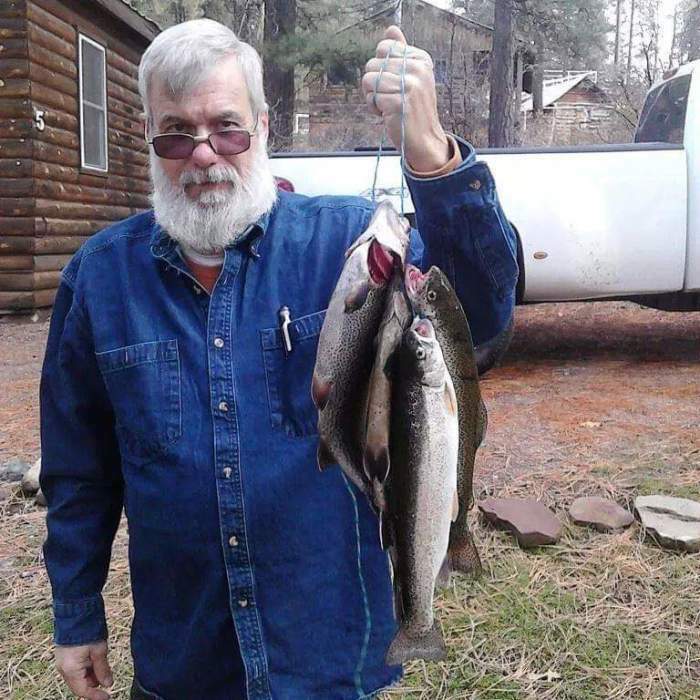 Kenneth was a car enthusiast and a member of Ozark Mountain Cruisers. He enjoyed the outdoors - fishing, hunting or smoking a good slab of meat. He was also a faithful member of Woodland Hills Family Church. Kenneth passed away on Wednesday, April 3, 2019 in Branson at the age of 58. He was deeply loved and will be greatly missed. He was preceded in death by his father, Coy Blevins and an infant sister. He is survived by his wife Tammy Blevins of Hollister; his sons, Coy Blevins of Springfield and Timothy Blevins and wife Jennifer of Gravette, AR; his mother, Erma Blevins of Hollister; seven grandchildren, Mackenzie, Janie, Trevor, Samantha, Emily, Riley and Bryden; his niece and nephew, Jennifer Bradley and Jason Blevins; along with his in-laws, and numerous other nieces and nephews.